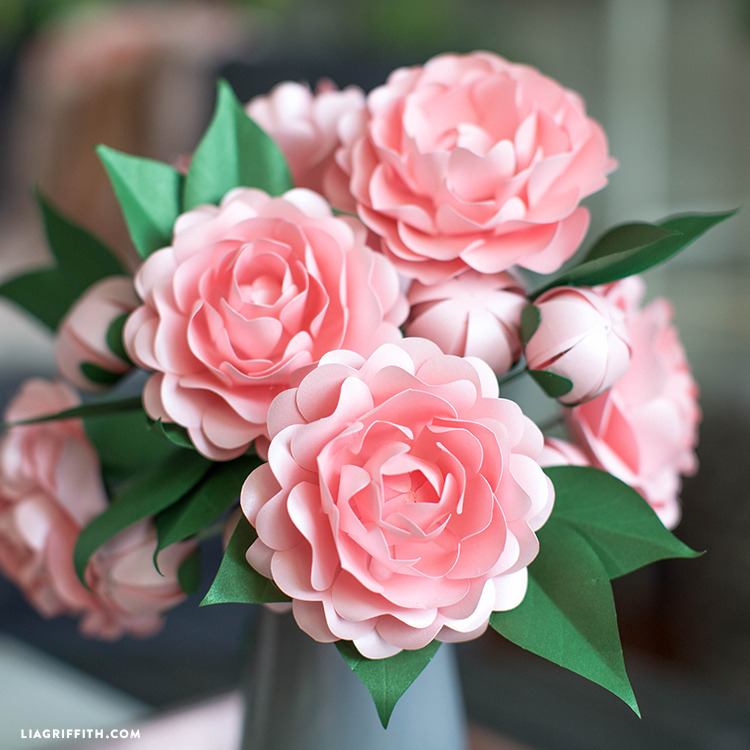 Lia handcrafted this camellia flower herself in our studio just last week and we had to share them with you! Pretty, gorgeous, stunning… call them what you’d like. 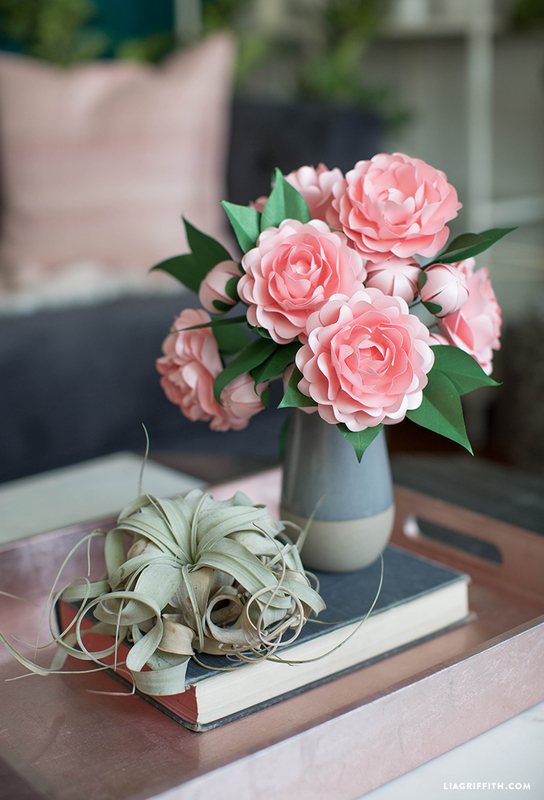 These paper flowers are downright amazing and crazy simple to make. Plus we’re giving you this pattern for FREE! Visit Paper Papers website to download either the SVG or PDF files, then cut. 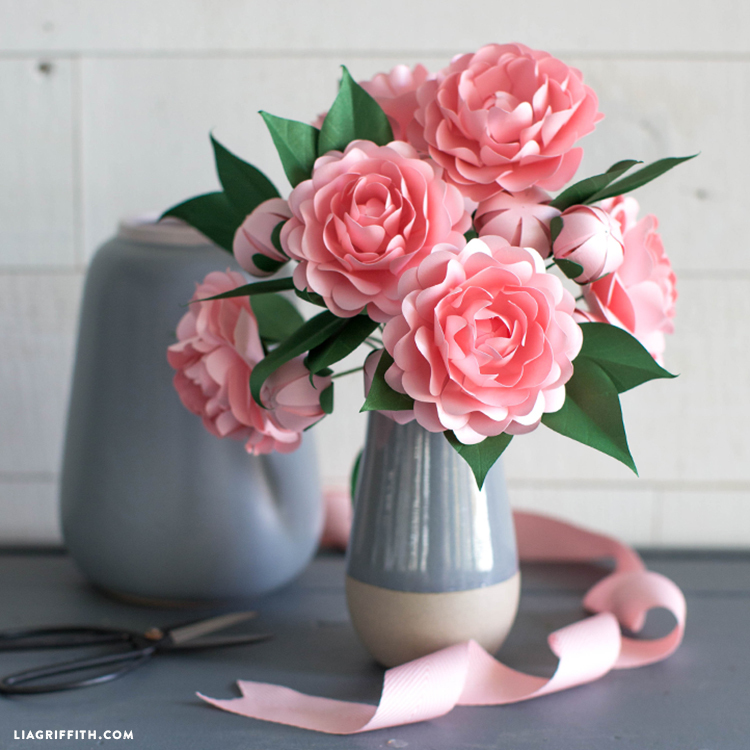 Finally, follow along with Lia’s video below to learn how to assemble your frosted camellia flower. For this beautiful camellia flower we used Paper Papers metallic text weight paper. 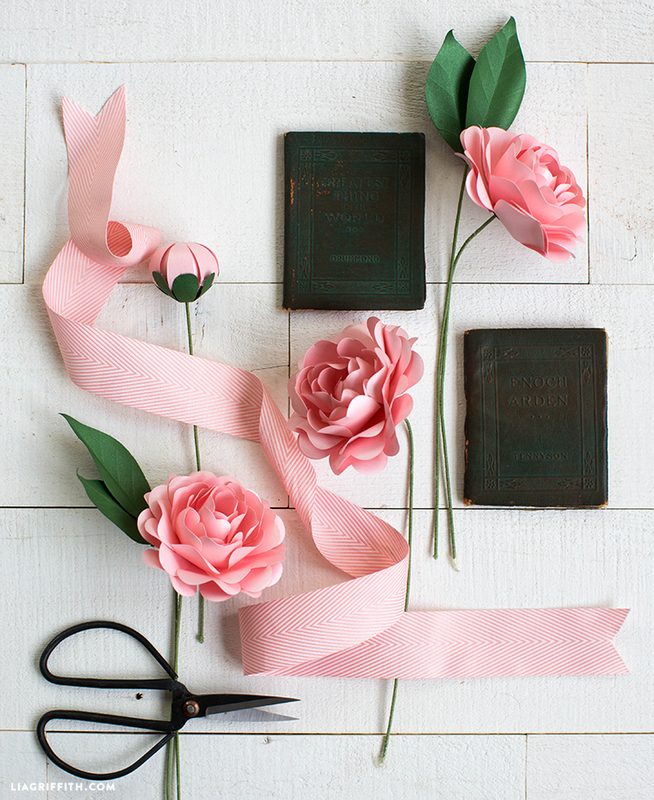 We are absolutely in love with this paper for floral paper crafting! It’s offers the perfect thickness to remain firm yet malleable and the perfect touch of elegant shimmer. To discover your own perfect shade, browse Paper Papers wide selection here. For the FREE patterns head over to PaperPapers.com. What is considered frosted paper? Is that like vellum paper? Hi Janie! Frosted paper has a pearlescent/metallic finish, and comes in text weight and cardstock (we use text weight for our paper flowers). It’s also called Metallic or Pearlized paper. Oh no! I’m not sure what the problem is. Could you send a screenshot and more details to hello@liagriffith.com? Hi Barbara! I’d recommend trimming the floral wires on the blooms to about 1 inch, and coiling them in a corkscrew shape. You can easily poke these through a ribbon if you’re hanging them that way. 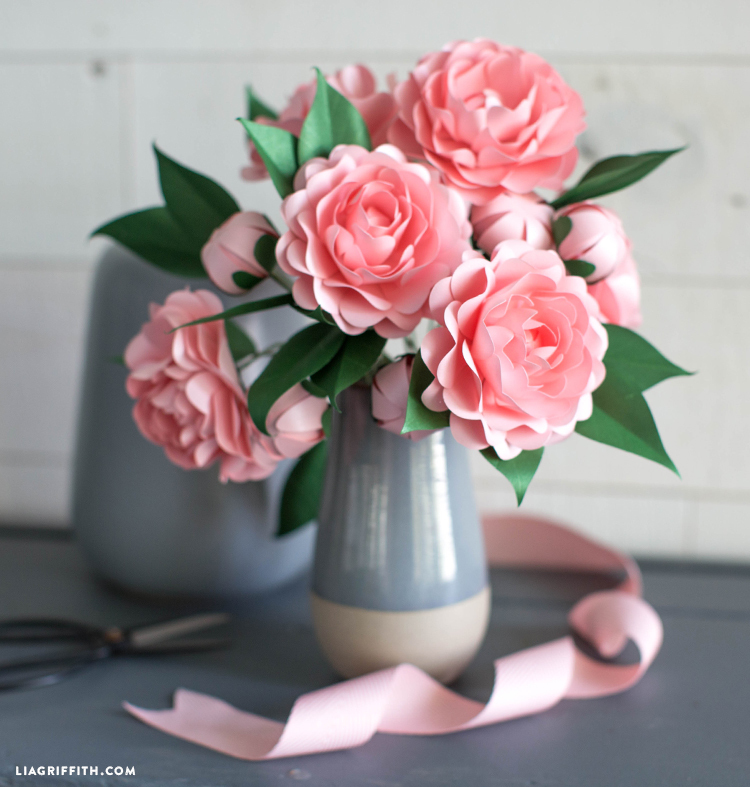 When the instructions to make your flowers call for paper can I use crepe paper? Will the end result be the same? Your flowers are beautiful. Hi Sonia! No, the frosted paper templates won’t work for crepe paper. 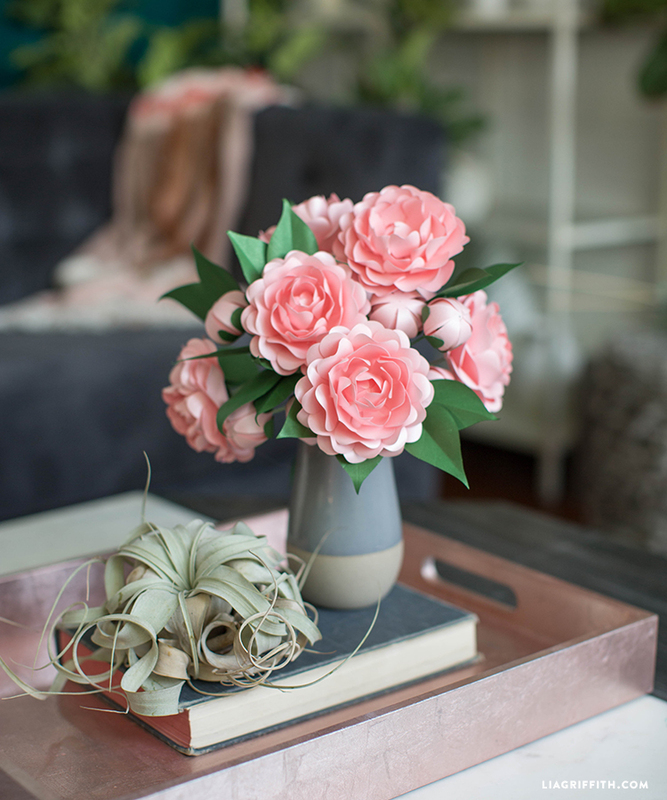 All of our crepe flowers require cutting individual petals so they can be shaped along with the grain of the crepe paper. Another idea if you don’t have a knitting needle or skewer on hand – use a rounded chopstick and sharpen the end in a pencil sharpener. This is gorgeous thank you for the video it was simple and easily understood. Where do you buy the fiskars petal curling tool? I could not find it anywhere online not even on the fiskars website. Thank you Linda!! The curling tool is being sold exclusively at JoAnn’s right now (https://www.joann.com/lia-griffith-signature-paper-curler-scoring-tool/15892649.html#q=lia%20griffith&prefn1=prod_type&sz=36&start=37&prefv1=Product). We’ll have our tools for sale in our shop in June! Spotlight is the only craft supply source we know of in Australia, you might find text weight paper there! Our Fiskars tools aren’t available yet but hope to be sold world-wide soon. I enjoyed watching the video. The directions are clear and easy to understand I like being able to see the flowers in progress. One other thing I have noticed in this video and the one I watched last week there is a deep rumble in the soundtrack. It is rather distracting if the video is very long. If there a way to eliminate the background rumble? Thanks Katie! The rumbling you hear is likely street noise– we’re located in the heart of the Pearl district in Portland and have a hard time finding very quiet time during our business and filming hours. Our video editor does his best to eliminate the noise but it’s not always possible. We’re hoping to be able to sound proof a bit more one day!